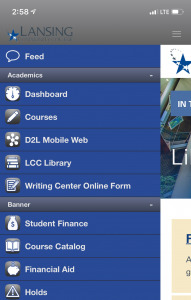 Lansing Community College offers students a mobile application to access D2L, social media, and more! Making an appointment with the LCC Writing Center. This free app is available for iPhone and Android devices.